How to watch Batman v Superman: Dawn of Justice (2016) on Netflix Singapore! Sorry, Batman v Superman: Dawn of Justice is not available on Singaporean Netflix, but you can unlock it right now in Singapore and start watching! With a few simple steps you can change your Netflix region to a country like Egypt and start watching Egyptian Netflix, which includes Batman v Superman: Dawn of Justice. We'll keep checking Netflix Singapore for Batman v Superman: Dawn of Justice, and this page will be updated with any changes. Batman v Superman: Dawn of Justice is not available in Singapore BUT it can be unlocked and viewed! 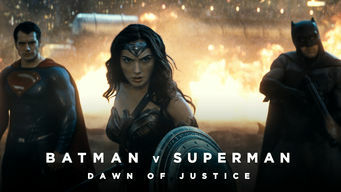 It's the Man of Steel vs. the Caped Crusader when Batman becomes suspicious of Superman's increasing power, and Lex Luthor's happy to take advantage. An epic clash of the DC Universe pits two legends against each other. Gotham City and Metropolis will never be the same. There is a way to watch Batman v Superman: Dawn of Justice in Singapore, even though it isn't currently available on Netflix locally. What you need is a system that lets you change your Netflix country. With a few simple steps you can be watching Batman v Superman: Dawn of Justice and thousands of other titles! Watch "Batman v Superman: Dawn of Justice"